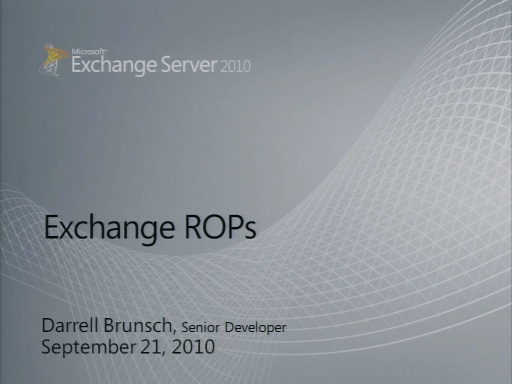 Darrell Brunsch, Senior Software Development Engineer, presents detailed information about Exchange RPC and ROPs. 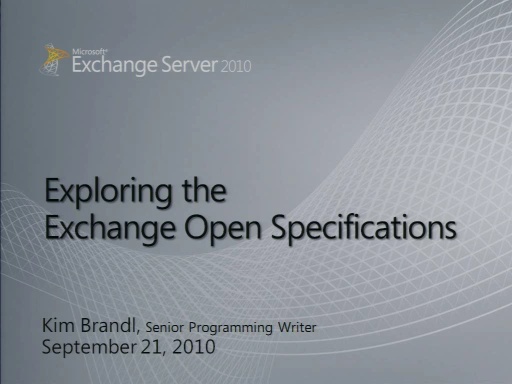 The talk includes a discussion of MS-OXCROPS document organization, buffer examples, explanation of why context is important and includes a discussion of server objects. 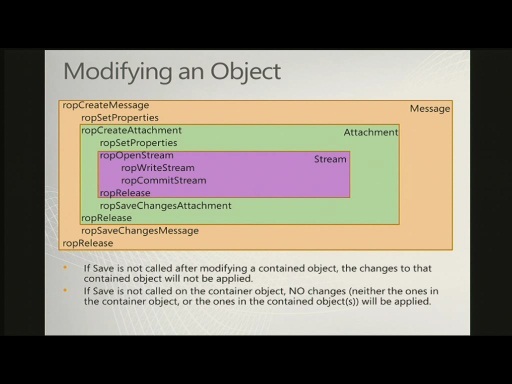 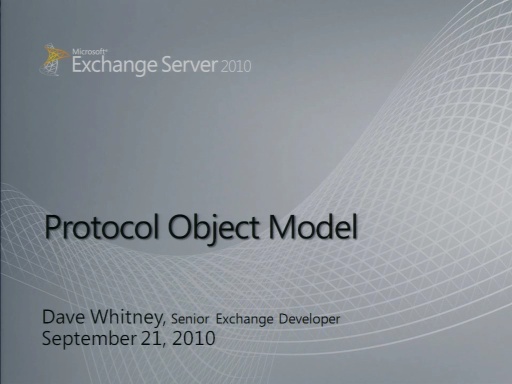 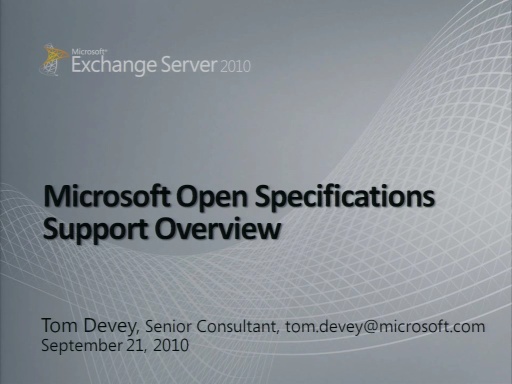 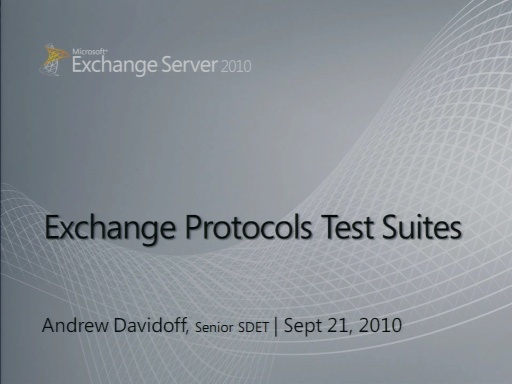 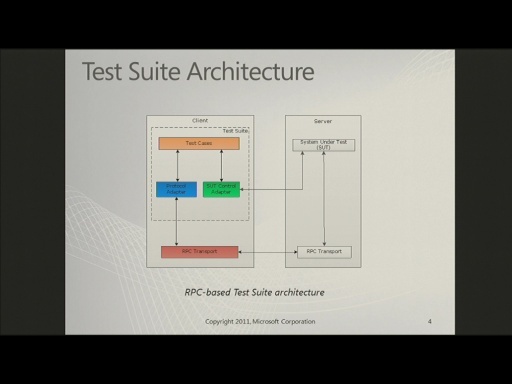 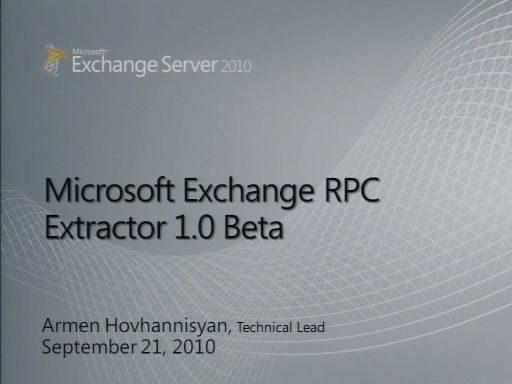 This talk was part of the January 2011 Exchange RPC Protocol Documentation Plugfest and is related to the Exchange Server Open Specifications Program, which includes documents that are available on MSDN.